"The old teachers were, taken as a whole, a serious-minded body of men and women, and have left a heritage to their scholars a stamp of character which has helped make them, scarcely without exception, a useful, upright body of citizens." 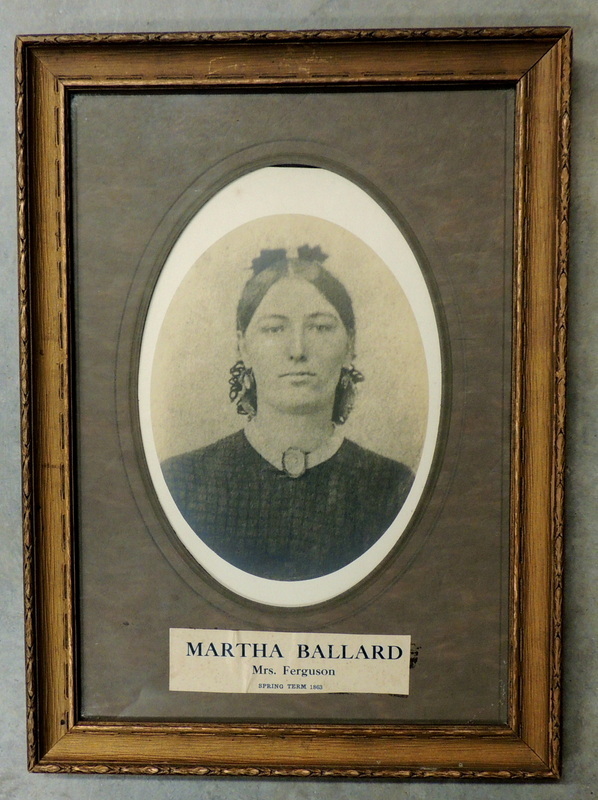 The teachers at the Sheldall Schoolhouse often played a fairly active role in the community. 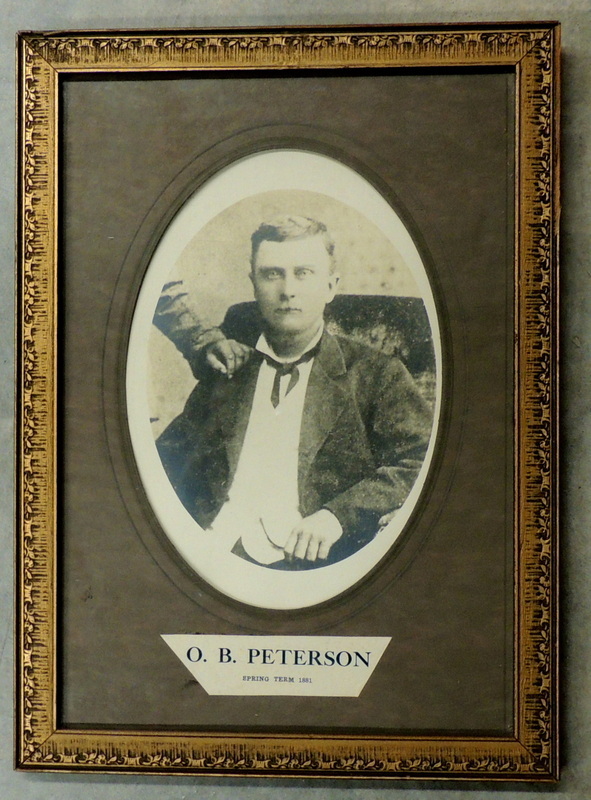 Many times they lived with the families of their students, as was the case with Lewis Anderson and O.M. Wiester. 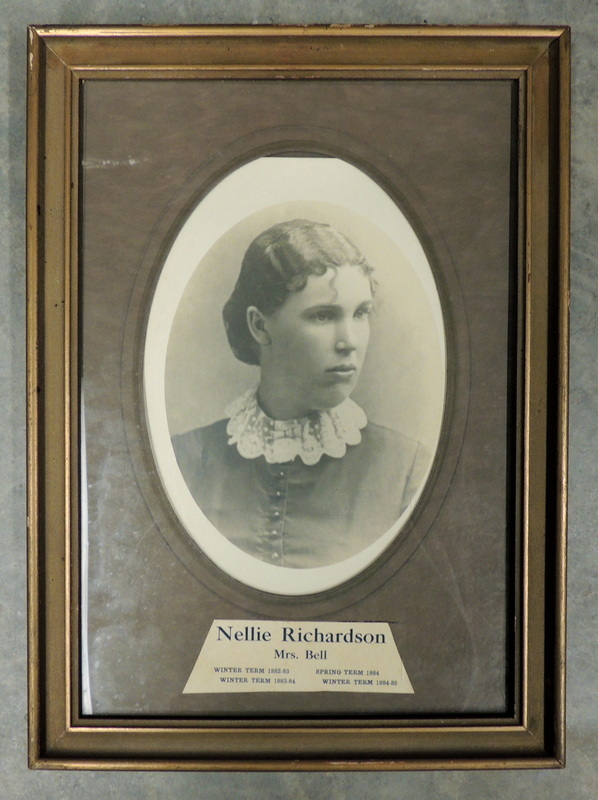 Other times the teachers were former pupils of the Sheldall Schoolhouse, like H.L. 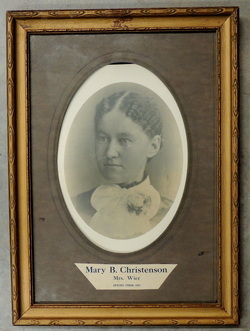 Henderson or Mary B. Christenson. 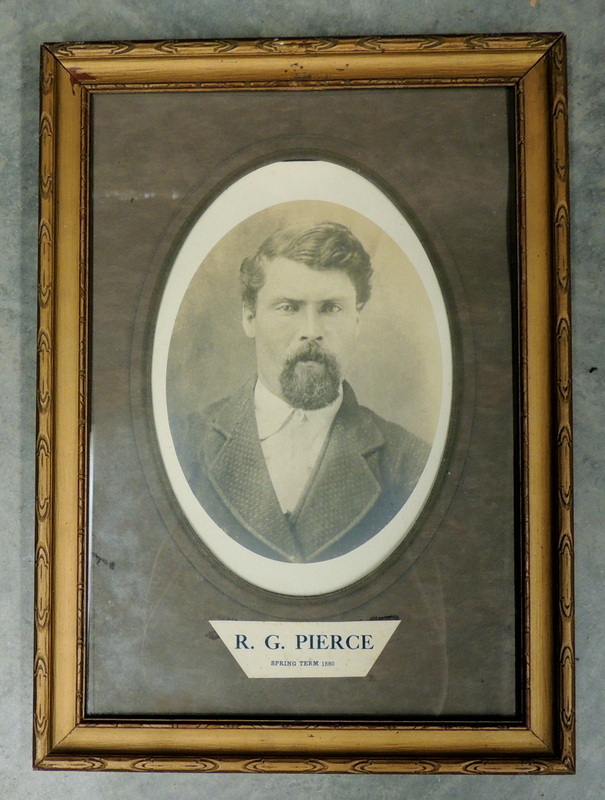 A teaching position was also able to offer these individuals a more mobile position within society, as they were able to teach in a various schoolhouse, while farmers were tied to their land. Teaching also offered women a greater degree of freedom and independence, but it was expected that once these women were married they would forego their teaching position. 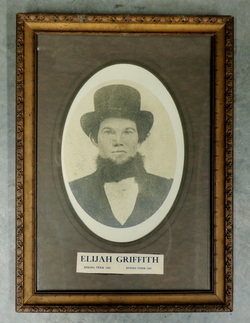 Elijah Griffith served as teacher during the Spring Terms of 1859-1860. These two terms were held in the homes of Mr. Biggs and Mr. Woodworth, while the schoolhouse was being built. 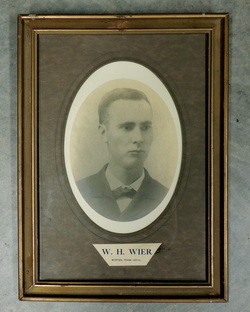 Captain William A. Wier was the first teacher at the Sheldall Schoolhouse, he taught during the Winter Term of 1860-1861. 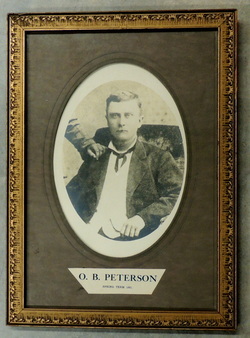 Prior to his time at the Sheldall, Wier worked in Nova Scotia as a whaler. A harpoon from his time as a whaler was on display at the Sheldall School for years after its closure and can now be seen at the Carriage House Museum. Wier left the Sheldall after his first term in order to serve with the Thirty-Second Iowan and Ninth New York Battery in the Civil War. 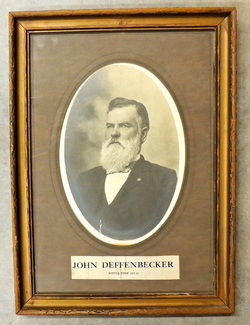 He eventually returned to Story City, where he served as Mayor from 1882-1884 and again in 1885. O.A. 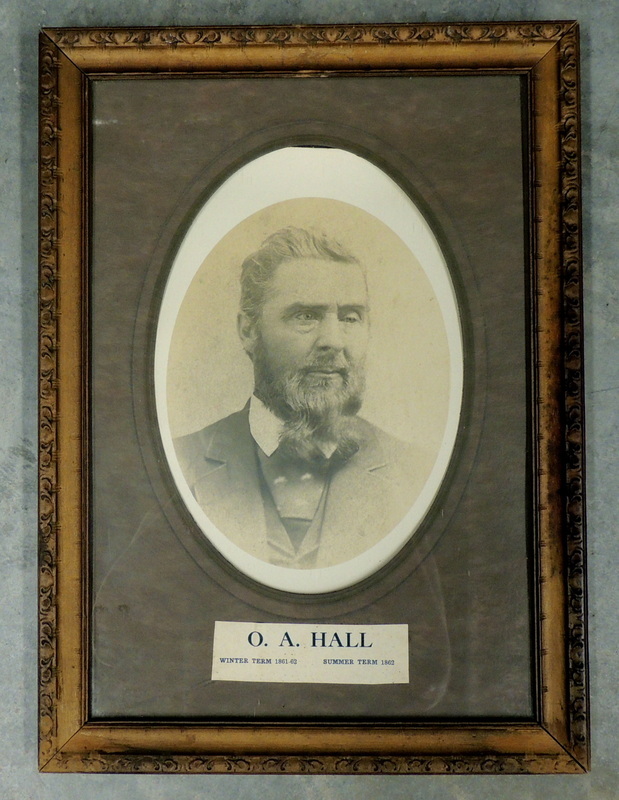 Hall served as teacher at the Sheldall Schoolhouse during the Winter Term of 1861-1862 and half of the Summer Term of 1862. He left his position at the Sheldall Schoolhouse to join the Civil War. 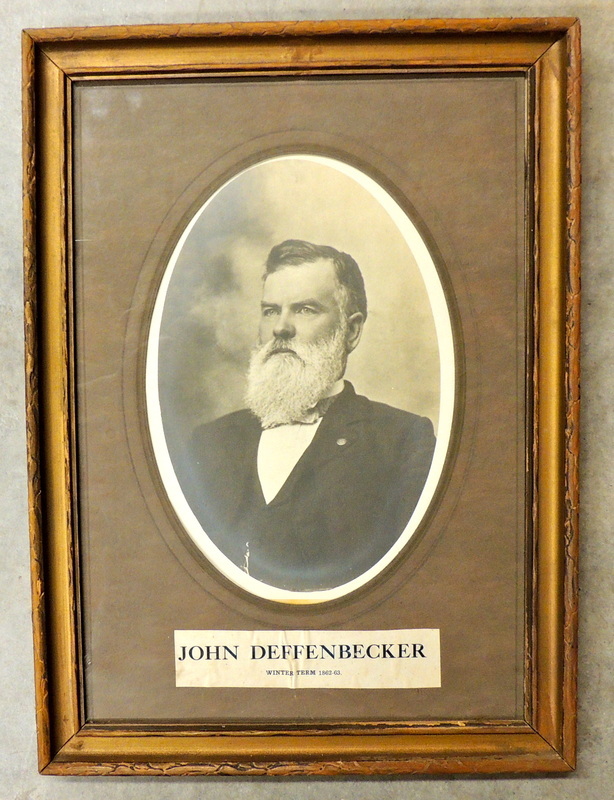 John Deffenbecker served as teacher at the Sheldall Schoolhouse during the second half of the Summer Term of 1862, taking over for O.A. 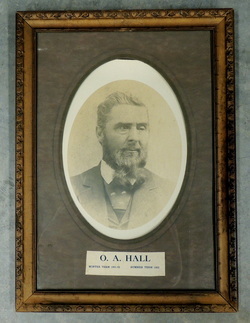 Hall, and the Winter Term of 1862-1863. 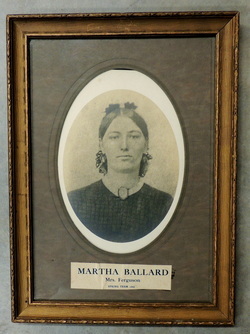 Martha Ballard served as teacher at the Sheldall Schoolhouse during the Spring Term of 1863. 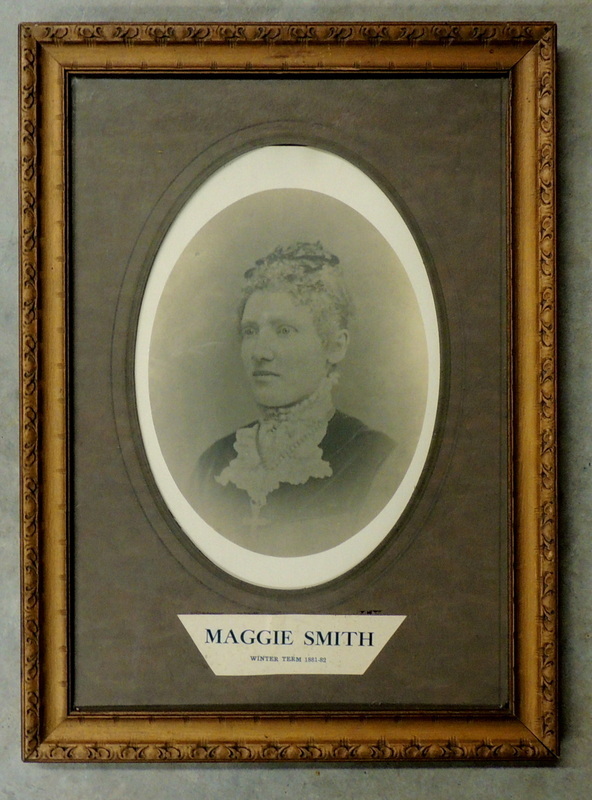 She was the first female teacher hosted by the Sheldall Schoolhouse. 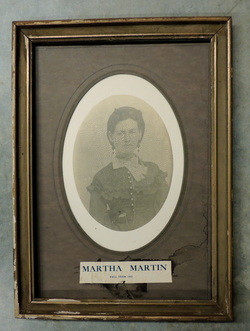 Martha eventually married Hiram Ferguson in 1866. Martha Martin served as teacher at the Sheldall Schoolhouse during the Fall Term of 1863. 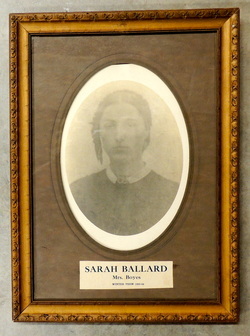 Sarah Ballard served as teacher at the Sheldall Schoolhouse during the Winter Term of 1863-1864. Sarah was the sister of the first female teacher at the Sheldall Schoolhouse, Martha Ballard. Sarah eventually married Mr. Boyes. 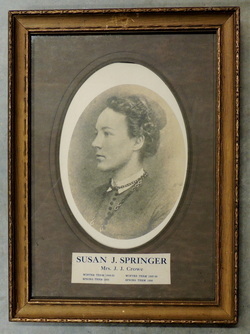 Susan J. Springer served as teacher at the Sheldall Schoolhouse during the Winter Term of 1864-1865, the Spring Term of 1865, the Winter Term of 1865-1866, and the Spring Term of 1866. 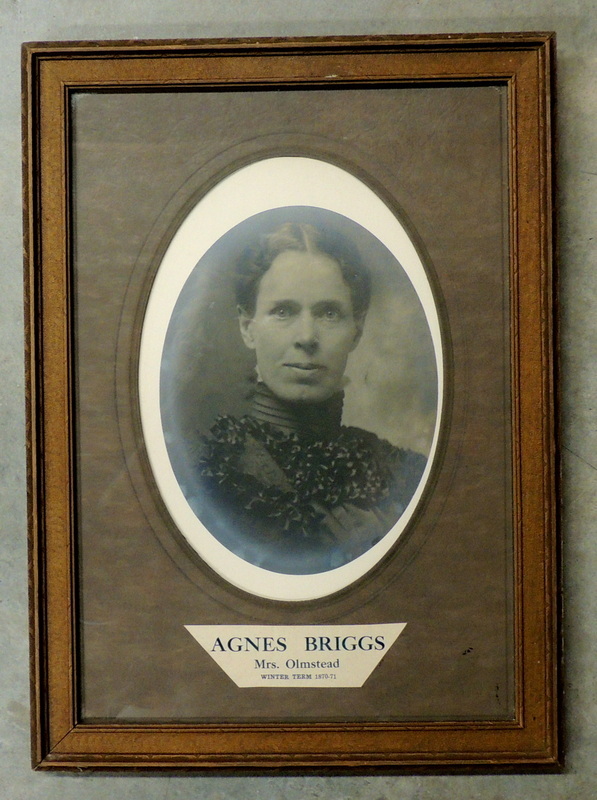 She was the longest serving female teacher at the Sheldall Schoolhouse. She eventually married J.J. Crowe. G.W. 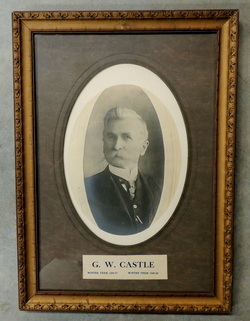 Castle served as teacher at the Sheldall Schoolhouse during the Winter Term of 1866-1867 and then returned for the Winter Term of 1868-1869. 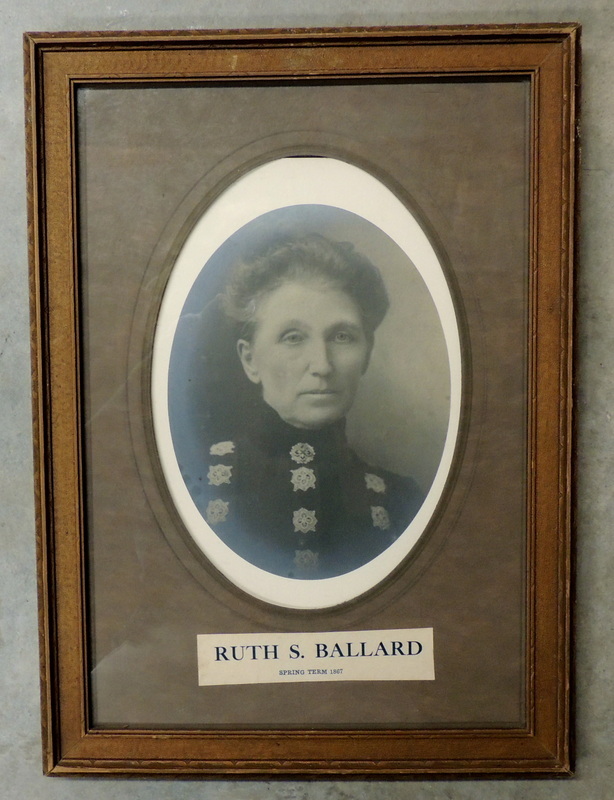 Ruth Ballard served as teacher at the Sheldall Schoolhouse during the Spring Term of 1867. Ruth was the sister of the first female teacher at the Sheldall Schoolhouse, Martha Ballard, and of former teacher, Sarah Ballard. Ruth eventually married Mr. Robins. 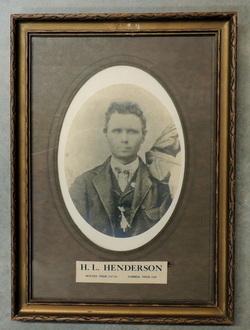 Henry L. Henderson was a former pupil of the Sheldall Schoolhouse and served as its teacher during the Winter Term of 1867-1868 and the Summer Term of 1868. 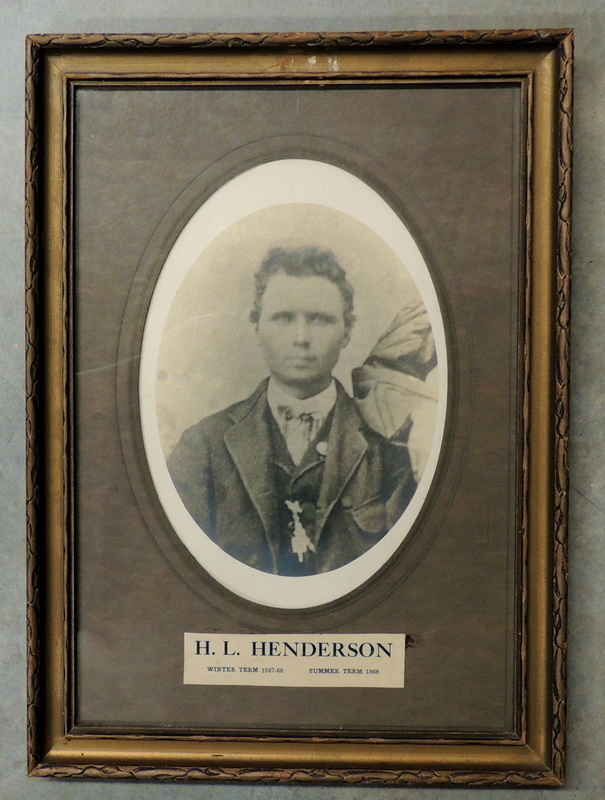 During his time at the Sheldall Schoolhouse, Henderson was regarded as a champion speller. 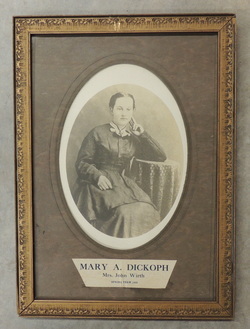 Mary A. Dickoph served as teacher at the Sheldall Schoolhouse during the Spring Term of 1869. She eventually married John Wirth. 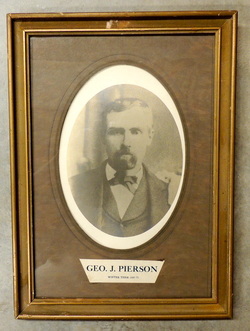 George J. Pierson served as teacher at the Sheldall Schoolhouse during the Winter Term of 1869-1870. 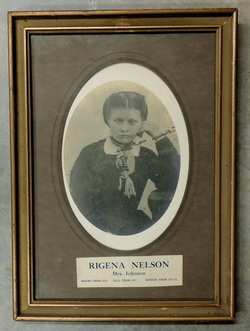 Rigena Nelson served as teacher at the Sheldall Schoolhouse during the Spring Term of 1870 and then returned to teach the Fall Term of 1871 and the Winter Term of 1871-1872. She eventually married Mr. Johnson. Agnes Briggs served as teacher at the Sheldall Schoolhouse during the Winter Term of 1870-1871. 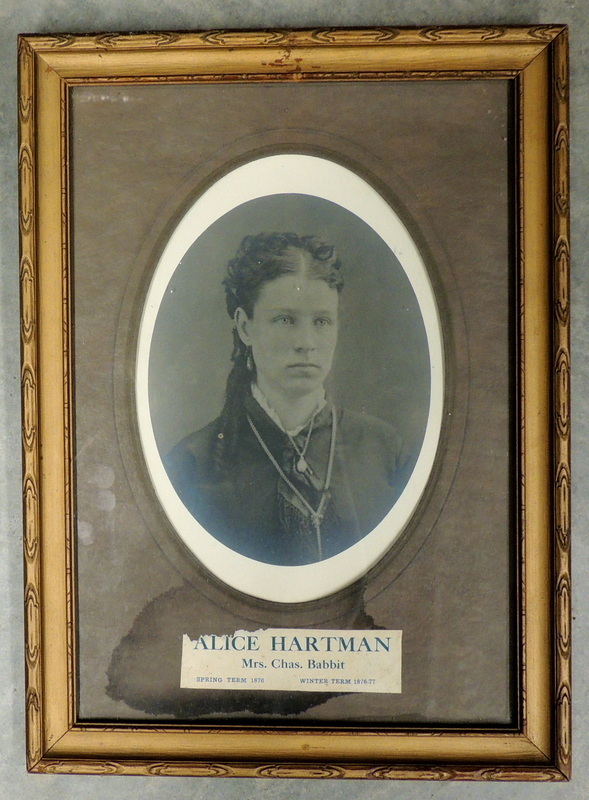 She eventually married Mr. Olmstead. 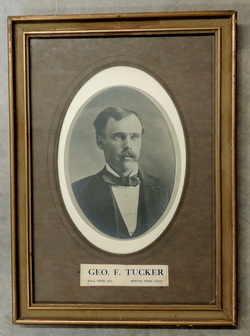 George F. Tucker served as teacher at the Sheldall Schoolhouse during the Fall Term of 1872 and the Winter Term of 1872-1873. 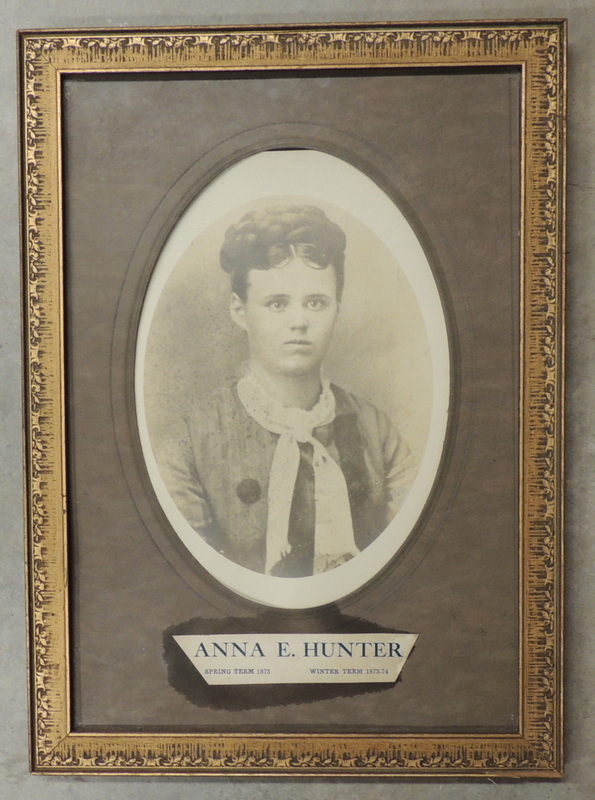 Anna E. Hunter served as teacher at the Sheldall Schoolhouse during the Spring Term of 1873 and the Winter Term of 1873-1874. 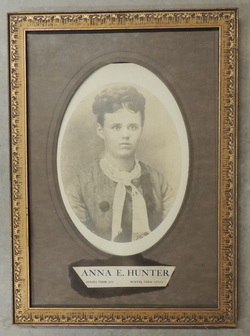 She later taught in her home district near Hubbard, Iowa. 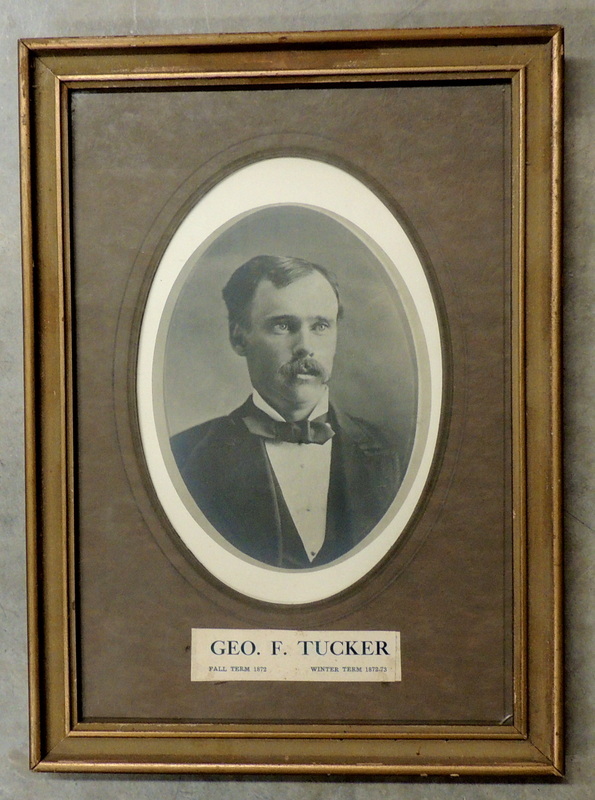 While there she taught Frank Lowden, who would go on to become the governor of Illinois. She eventually moved to Pittsburg, Kansas. 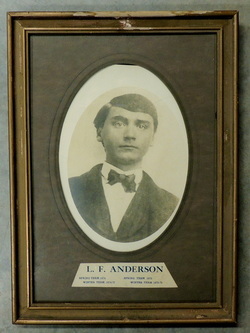 Lewis F. Anderson served as teacher at the Sheldall Schoolhouse during the Spring Term of 1874, the Winter Term of 1874-1875, the Spring Term of 1875, and the Winter Term of 1875-1876. 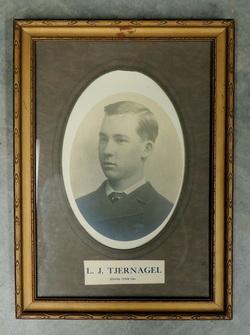 During his time at the Sheldall he lived with the Tjernagel family. He was remembered fondly by his students for all the educational excursions he included as a part of his lesson. One of these included a trip to a nearby Native American camp where the students were able to observe them, building camp, preparing their food, caring for their children, and an assortment of other activities. 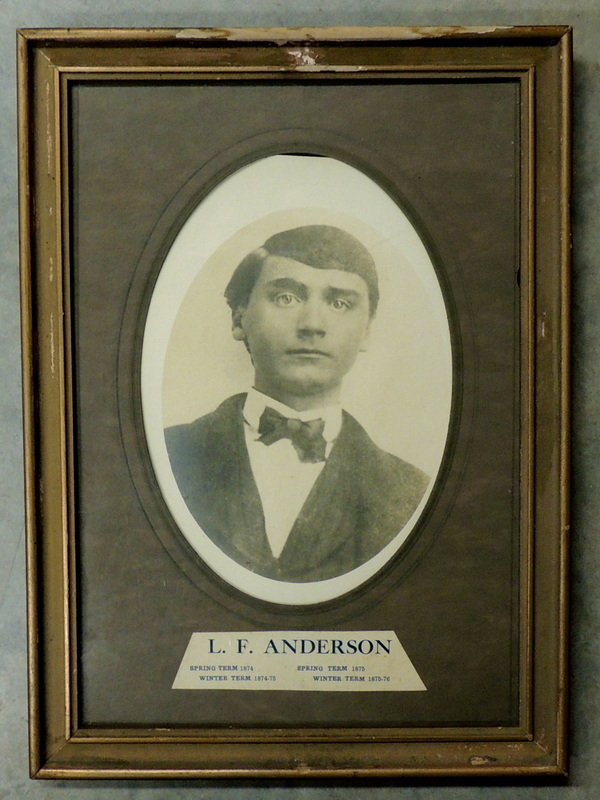 Many students have recalled that Anderson took great pains to instill an appreciation for nature and their fellow human beings in his students. 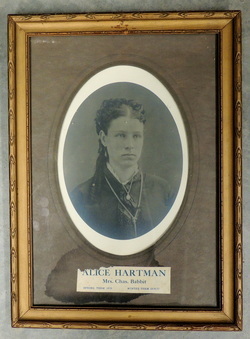 Alice Hartman served as teacher at the Sheldall Schoolhouse during the Spring Term of 1876 and the Winter Term of 1876-1877. She eventually married Chas. Babbit. Christ. 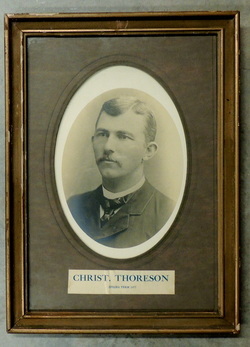 Thoreson served as teacher at the Sheldall Schoolhouse during the Spring Term of 1877. During his time at the Sheldall he lived with the Tjernagel family. He was a skillful fisherman. O.M. 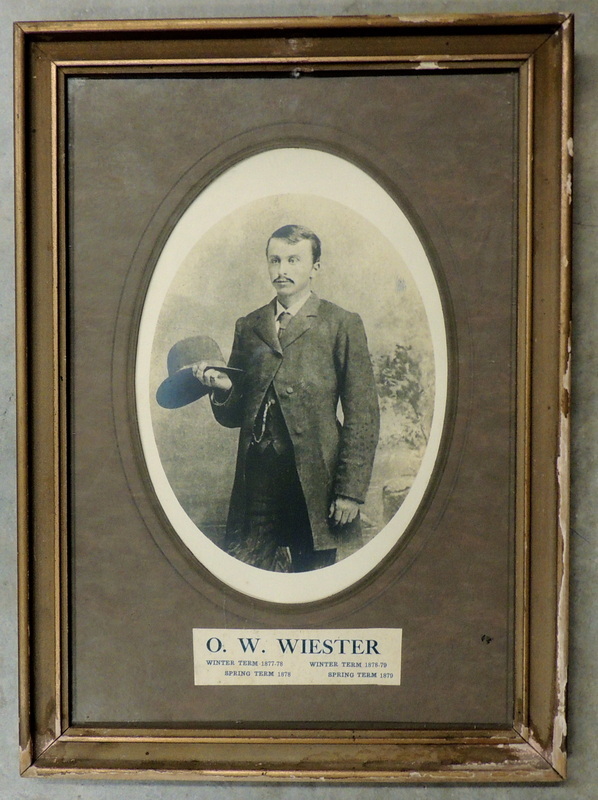 Wiester served as teacher at the Sheldall Schoolhouse during the Winter Term of 1877-1878, the Spring Term of 1878, the Winter Term of 1878-1879, and the Spring Term of 1879. During his time at the Sheldall he lived with the Tjernagel family. 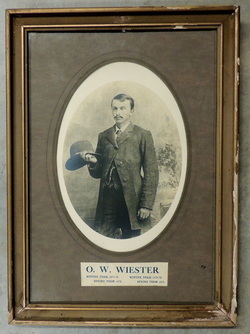 Wiester invented the game of sack ball, which was a favorite of many of the students, but was eventually banned after a student was injured. The students remembered him as a great ball player and swimmer, but also as a strict disciplinarian. One of his rules was that nothing but the English language was to be used in the Sheldall Schoolhouse, this was in order to encourage the newly arrived Norwegian immigrants to hone their English, and threatened to take a willow switch to any student who disobeyed. The students were determined to test his word and all agreed to disobey; sure enough, Wiester lined up each and every one of his students and took a switch to them. 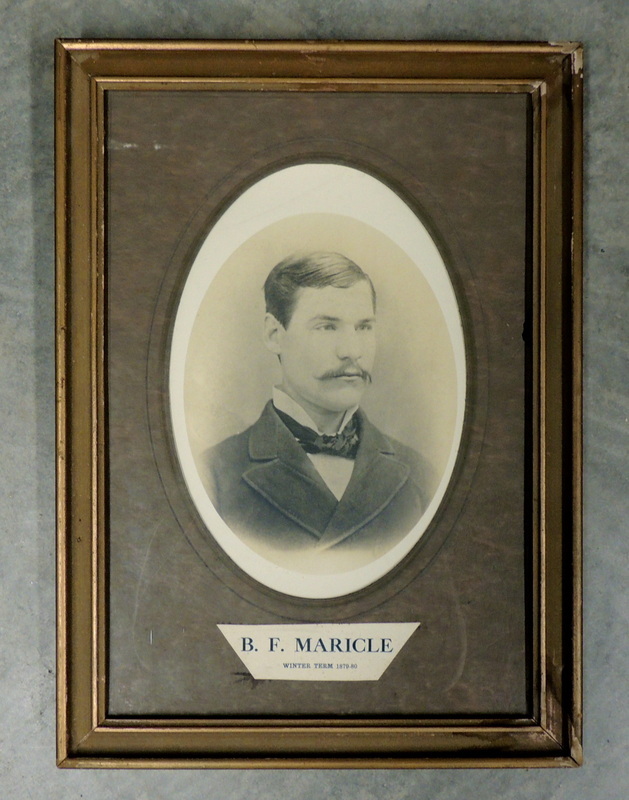 B.F. Maricle served as teacher at the Sheldall Schoolhouse during the Winter Term of 1879-1880. R.G. 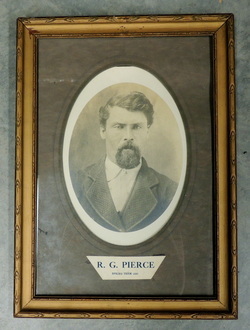 Pierce served as teacher at the Sheldall Schoolhouse during the Spring Term of 1880. W.H. 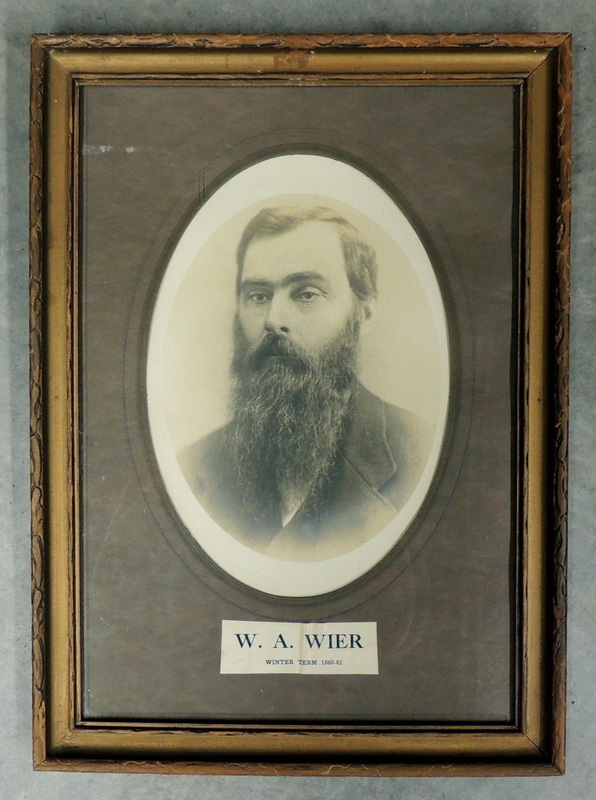 Wier served as teacher at the Sheldall Schoolhouse during the Winter Term of 1880-1881. 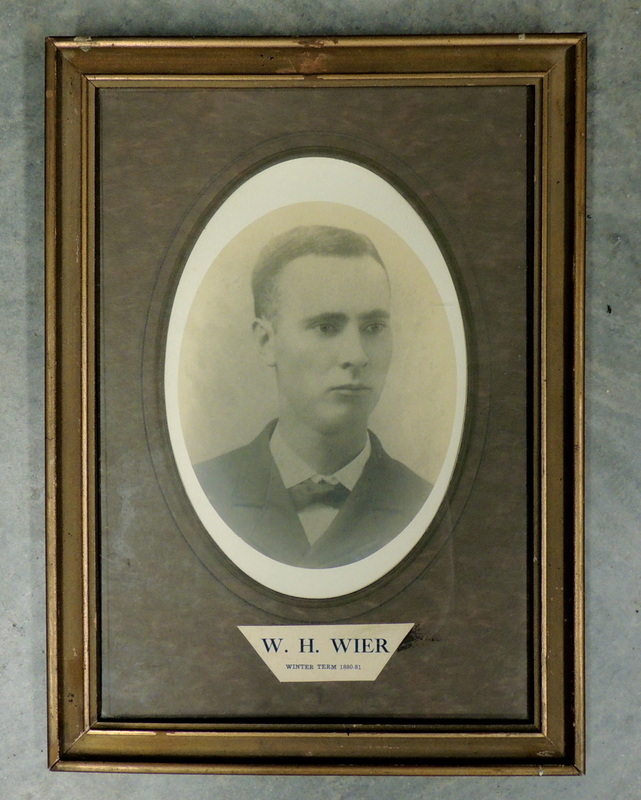 He was the son of the second teacher, Captain William A. Wier. O.B. 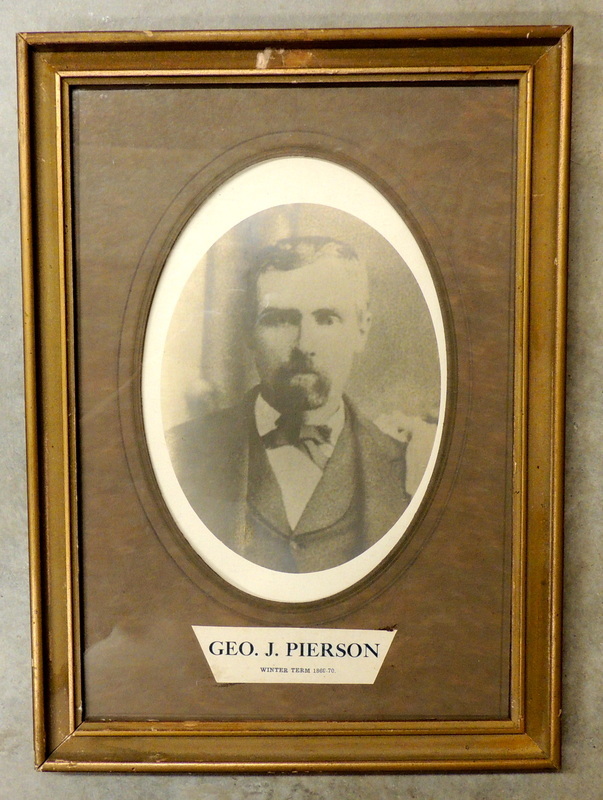 Peterson served as teacher at the Sheldall Schoolhouse during the Spring Term of 1881. He went on to serve as Mayor of Story City from March to December of 1884. O.B. also served as Post Master for Story City. 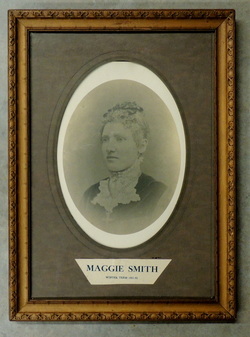 Maggie Smith served as teacher at the Sheldall Schoolhouse during the Winter Term of 1881-1882. 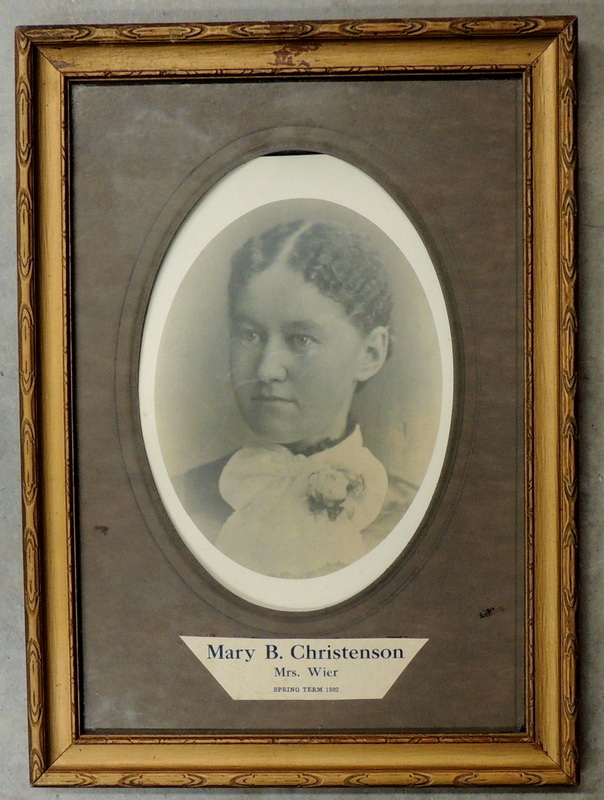 Mary B. Chirstenson was a former pupil of the Sheldall Schoolhouse and served as teacher during the Spring Term of 1882. 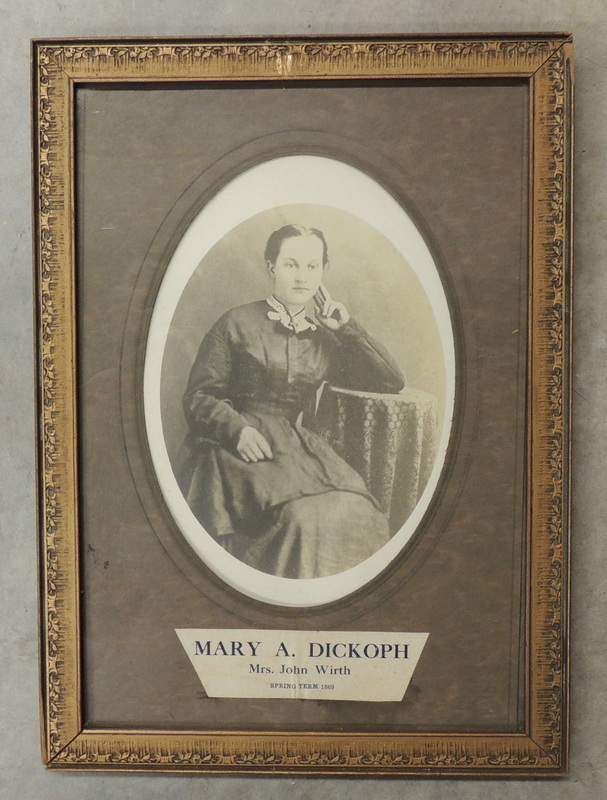 She eventually married W.H. Wier, a previous teacher at the Sheldall Schoolhouse and son of the second teacher, Captain William A. Wier. 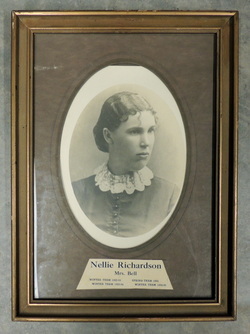 Nellie Richardson served as teacher at the Sheldall Schoolhouse during the Winter Term of 1882-1883 and then returned for the Winter Term of 1883-1884, the Spring Term 1884, and the Winter Term of 1884-1885. She eventually married Mr. Bell. 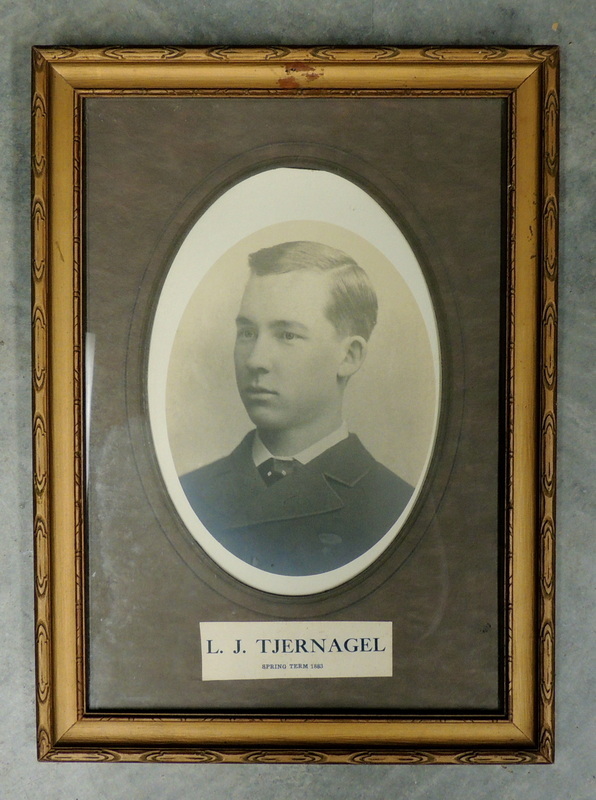 Lewis Tjernagel was a former pupil of the Sheldall Schoolhouse and served as teacher during the Spring Term of 1883. He is responsible for assembling all the photos of the teachers at the Sheldall Schoolhouse. O.O. 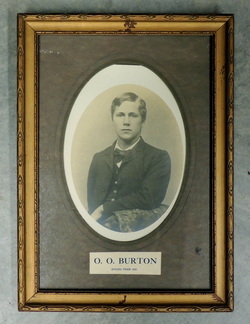 Burton served as teacher at the Sheldall Schoolhouse during its final term in the Spring of 1885.